The first hit single to use the term rock and roll in the title was Kay Starr’s 1956 number one hit Rock and Roll Waltz, the generally held view is that John Lennon was the first person to include the f-word in a song which he did in Working Class Hero in 1970, but Al Stewart actually who beat him by two years when he included it in his 1969 song Love Chronicles, but do you know who the first person to use the word reggae was? Well it was Toots Hibbert; in an interview with Outline he explained its origins, “Yeah I’m the one who came up with the word reggae and is still very strong all over the world. Young people try to do it but they don’t capture it the way myself, Bob Marley and many other originals did. People are always trying to spell it reggae but I spell it reggay! The word was coming from the roots of Kingston in Jamaica. If someone didn’t dress properly then we called it reggae. You know, the word originally came from the streets but I was the first to coin it in a song.” People learnt about reggae from Toots and the Maytals and that first he recorded was called Do the Reggay. Toots was born Frederick Hibbert in Jamaica and has just turned 75, as a teenager he moved to Jamaica’s capital, Kingston and met two musicians, Jerry Matthias and Raleigh Gordon who got together to form The Maytals and very quickly became a popular attraction in Kingston. In 1972 they appeared in Reggae’s most influential film The Harder They Come which starred Jimmy Cliff and featured an appearance by Prince Buster as the club DJ. The Maytals sang Sweet and Dandy and Pressure Drop the latter of which many have covered including the Specials, but the only act to chart with it was former Guns N’ Roses guitarist Izzy Stradlin whose version starts in a rock style and then the last 45 seconds turns into reggae. Although it was requested by Mick Blee it’s actually for his cousin Gary who is a singer and has recorded a song called The Old East End Tonight which is featured in a recent film called The Rise of the Foot Soldier 3. 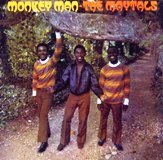 Gary often sings at a club in Hornchuch in Essex and always getting requests for a song called Monkey Man as originally recorded by The Maytals. With lyrics like ‘Tell you baby, you huggin up the big monkey man’, ‘I’ve seen no sign of you, I only heard of you huggin up the big monkey man’ and ‘Now I know that, now I understand you’re turning a monkey on me’ he wondered what it was all about. Well it seems a simple explanation as Toots revealed, “Well Monkey Man is all about a girl, a very good looking girl. I fell in love with her and then a monkey-looking man took her away from me but I thought she was in love with me. The guy was ugly and not good looking like me, ha ha!” It’s not a song that has been covered much, but whether a white act could get away with it in the day and age is doubtful as someone will complain! Toots has been working and touring now for six decades, “I arrange, create and produce, I like to just work, work, work by myself,” he says, but is still respected not just by reggae fans but his peers as well; in 2005 he sang with Willie Nelson on the song I’m a Worried Man which appeared on the former’s album Countryman. The following year a number of reggae artists came together to record a reggae version of Radiohead’s OK Computer, which was billed as Radiodread and Toots contributed Let Down. On New Year’s Eve 2011 at a private party Toots duetted with the Red Hot Chili Peppers on a version of Louie Louie. Now he’s collaborating with dance act Major Lazer whose 2018 album Music is the Weapon features Toots contributing new alternate vocals to the track My Number which is based on arguably The Maytals’ most famous song 54-46 was My Number, which, if you’re wondering where that title came from, was Toots’ prison number when, in 1966, he served 18 months for marijuana possession.